The season for mooncakes has long since passed us by, but I still have to post this. Every year, I make it a point to try some cool new mooncake flavours . This year, I accompanied mum to the annual Taka mooncake fair to try out every flavour available. Okay, maybe not every flavour, but almost every flavour. Yepps I was THAT excited. 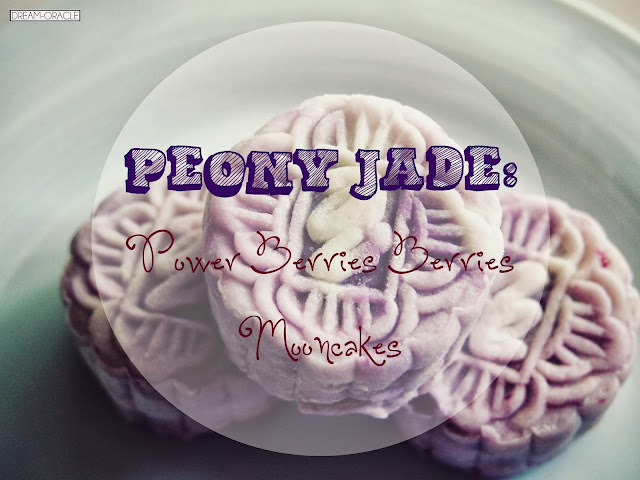 So what caught my eye was Peony Jade's mooncakes. When it comes to good mooncakes, the go-to places are East Ocean, Peony Jade, Home's Favourites. Not that other places aren't good at making mooncakes, but I'm very picky about my snowskin mooncakes. 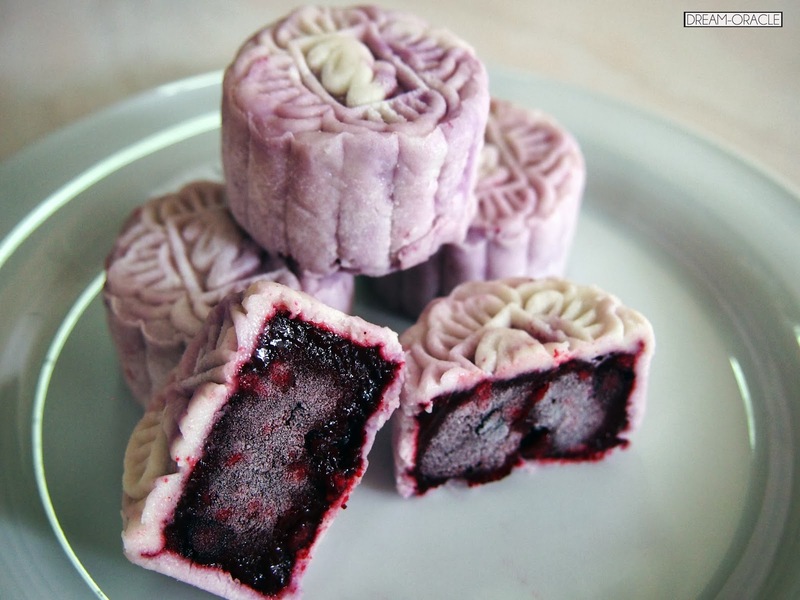 To me, a good snowskin mooncake lies primarily in the making of the skin. It must be soft and chewy, but not overly thick and floury. Not alot of places can recreate the melt-in-your-mouth soft snowskin, but the above places are one of the few quality guaranteed places. Berries Berries flavour! It comes in a box of 8 small pieces. I have to say, the colour of the snowskin mooncake is gorgeous. It's a swirly mix of white and pale lilac, and when you slice it open, a deep lovely purple greets you. The tiny bumps are indications of berries. Lots and lots of berries. 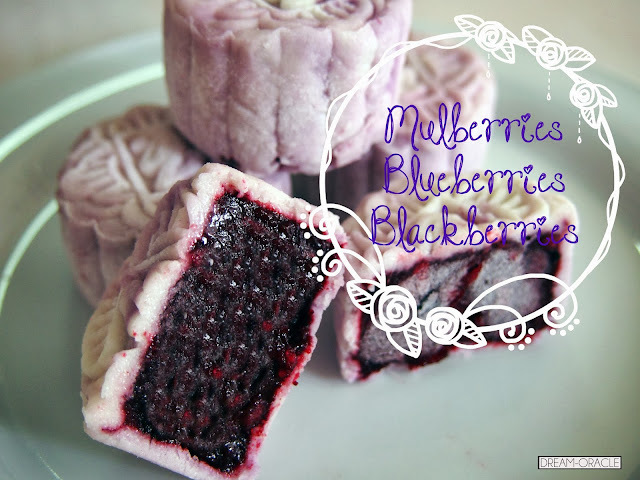 This mooncake is a combination of mulberries, blueberries and blackberries. You have to keep it frozen in the freezer because fruit mooncakes melt easily. The skin is melt-in-your-mouth soft, and the fillings are awesome. Not overtly sweet, but you can taste the fruits inside as well. Occasionally you get little tiny balls of berries rolling on your tongue, and the purple goodness of berries brings to mind all sort of antioxidants benefits! Not a bad haul for this year, and the mooncakes are small, so you don't get sick of eating it.